Abstract: As an important strategic water resource and drinking water source in the Beijing-Tianjin-Hebei Region, groundwater has not been effectively curbed in its over-exploitation problem and environmental quality deterioration, which seriously endangers the sustainable development and the safety of drinking water of the region. 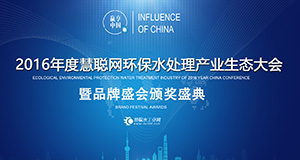 In order to accelerate the construction of ecological civilization and implement important national strategies such as the 'Water Pollution Prevention Action Plan', focusing on improving the quality of groundwater environment in Beijing-Tianjin-Hebei Region, the four main problems of groundwater environment in the Beijing-Tianjin-Hebei Region were analyzed:(1) Groundwater is seriously polluted, and lacks scientific risk management and pollution control strategies; (2) Groundwater pollution sources are wide-ranging, pollution supervision system needs to be improved; (3) Integrated innovation and engineering demonstration of groundwater pollution classification and treatment need to be carried out; (4) The problem of groundwater over-exploitation is serious, and there is an urgent need to develop groundwater safety replenishment technology. The existing groundwater environmental management foundations in the Beijing-Tianjin-Hebei Region were systematically sorted out, and four research directions and objectives of groundwater pollution prevention and control in the '13th Five-Year Plan' were proposed:(1) Carry out research on groundwater pollution acteristic identification and systematic prevention, and improve the top-level design of groundwater pollution prevention and control; (2) Develop breakthrough technologies for accurate identification and monitoring of groundwater pollution and improve the groundwater environmental monitoring capability in the Beijing-Tianjin-Hebei Region; (3) Research and develop source control and pollution repair technologies to improve the groundwater remediation capacity of contaminated sites; (4) Carry out replenishment suitability and environmental risk assessment of the replenishment area, and establish a coordinated and efficient technology system for safe replenishment. The research results can provide technical and management support for improving the groundwater environmental quality management level and ensuring drinking water safety in the Beijing-Tianjin-Hebei Region. 万长园,王明玉,王慧芳,等.华北平原典型剖面地下水三氮污染时空分布特征[J].地球与环境,2014,42(4):472-479. WAN Changyuan,WANG Mingyu,WANG Huifang,et al.Temporal and spatial distributions of Nitrogen contamination in groundwater along the typical cross-sections of the North China Plain[J].Earth and Environment,2014,42(4):472-479. 井柳新,刘伟江,王东,等.中国地下水环境监测网的建设和管理[J].环境监控与预警,2013,5(2):1-4. JING Liuxin,LIU Weijiang,WANG Dong,et al.The construction and management of groundwater environmental monitoring network in China[J].Environmental Monitoring and Forewarning,2013,5(2):1-4. 张兆吉,费宇红,郭春艳,等.华北平原区域地下水污染评价[J].吉林大学学报(地球科学版),2012,42(5):1456-1461. ZHANG Zhaoji,FEI Yuhong,GUO Chunyan,et al.Regional groundwater contamination assessment in the North China Plain[J].Journal of Jilin University (Earth Science Edition),2012,42(5):1456-1461. 刘记来,刘超,黄天明,等.基于调蓄试验及数值模拟的北京市西郊地下水库人工补给效果评估[J].水文,2010,30(3):33-37. LIU Jilai,LIU Chao,HUANG Tianming,et al.Evaluation of artificial rege to groundwater reservoir in Beijing western suburbs based on regulation and storage experiment and numerical simulation[J].Journal of China Hydrology,2010,30(3):33-37. 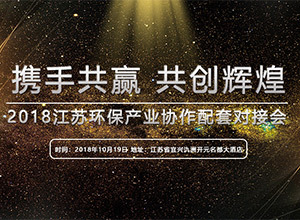 尹雅芳,刘德深,李晶,等.中国地下水污染防治的研究进展[J].环境科学与管理,2011,36(6):27-30. YIN Yafang,LIU Deshen,LI Jing,et al.Research progress of groundwater pollution prevention in China[J].Environmental Science and Management,2011,36(6):27-30. 滕彦国,左锐,苏小四,等.区域地下水环境风险评价技术方法[J].环境科学研究,2014,27(12):1532-1539. TENG Yanguo,ZUO Rui,SU Xiaosi,et al.Technique for assessing environmental risk of regional grounwater[J].Research of Environmental Sciences,2014,27(12):1532-1539. 刘增超,何连生,董军,等.简易垃圾填埋场地下水污染风险评价[J].环境科学研究,2012,25(7):833-839. LIU Zengchao,HE Liansheng,DONG Jun,et al.Risk assessment of groundwater pollution for simple waste landfill[J].Research of Environmental Sciences,2012,25(7):833-839. 王晓红,张新钰,林健.有机污染场地地下水风险评价指标体系构建的探讨[J].地球与环境,2012,25(7):833-839. LIU Zengchao,HE Liansheng,DONG Jun,et al.Risk assessment of groundwater pollution for simple waste landfill[J].Research of Environmental Sciences,2012,25(7):833-839. 王曼丽,何江涛,崔亚丰,等.基于折减系数的地下水污染风险评价方法探究[J].环境科学学报,2016,36(12):4510-4519. WANG Manli,HE Jiangtao,CUI Yafeng,et al.Study on groundwater contamination risk assessment method based on reduced coefficient[J].Acta Scientiae Circumstantiae,2016,36(12):4510-4519. 王璇,于宏旭,熊惠磊,等.华北平原地下水污染特征识别及防控模式探讨[J].环境与可持续发展,2016,41(3):30-34. WANG Xuan,YU Hongxu,XIONG Huilei,et al.Current groundwater contamination and prevention and control modes in North China Plain[J].Environment and Sustainable Development,2016,41(3):30-34. 孟素花.华北平原地下水脆弱性及污染防治区划研究[D].北京:中国地质科学院,2011. 赵微,林健,郭高轩,等.北京市地下水环境分层监测和专项监控网的建立[J].南水北调与水利科技,2012,10(2):83-87. ZHAO Wei,LIN Jian,GUO Gaoxuan,et al.Development of layered monitoring and specialized inspection system of groundwater environment in Beijing[J].South-to-North Water Diversion and Water Science & Technology,2012,10(2):83-87. 张磊.地下水动态自动监测仪的研制[D].长春:吉林大学,2013. 文一,赵丹.发达国家地下水修复技术现状及对我国的启示[J].环境保护科学,2016,42(5):12-14. WEN Yi,ZHAO Dan.Current status of groundwater remediation technologies in the developed ries and enlightenment to China[J].Environmental Protection Science,2016,42(5):12-14. 蔡五田,张敏,刘雪松,等.论场地土壤和地下水污染调查与风险评价的程序和内容[J].水文地质工程地质,2011,38(6):125-134. CAI Wutian,ZHANG Min,LIU Xuesong,et al.On procedure and contents of investigation and risk assessment with regard to site soil and groundwater[J].Hydrogeology & Engineering Geology,2011,38(6):125-134. ZUURBIER K G,BAKKER M,ZAADNOORDIJK W J,et al.Identification of potential sites for aquifer storage and recovery (ASR) in coastal areas using ASR performance estimation methods[J].Hydrogeology Journal,2013,21(6):1373-1383. NEIL C W,JASON M T,JEFFREY Y Y.Improving arsenopyrite oxidation rate laws:implications for arsenic mobilization during aquifer storage and recovery (ASR)[J].Environmental Geochemistry & Health,2018(3):1-12. WESTERHOFF P,PINNEY M.Dissolved organic carbon transformations during laboratory-scale groundwater rege using lagoon-treated wastewater[J].Waste Management,2000,20(1):75-83.